Administrative/Biographical HistoryThe Kaplan and Shak families were Jewish families from Vilna, Poland, now Vilnius, Lithuania. The records in this fonds pertain mostly to Abrasha Kaplan, also known as Abram; his wife, Ida Kaplan; their daughter, Odie Kaplan; and Ida’s brother, Boris Shak. Abrasha Kaplan (birth name Abram Krizowski, b. August 11, 1901, in Vilnius, Lithuania) was born to Shapsel (Shapson) Krizowski and Kala Levton. He had at least one brother, Benjamin Kaplan (b. September 25, 1894, in Vilnius, Lithuania; d. January 1, 1962, in Vancouver, British Columbia, Canada). In September 1941, Jews from Vilnius were evicted from their homes and forced into the Vilna ghetto. Abrasha and his first wife, Nochama (b. 1902; d. 1943), also known as Nadia, lived in the ghetto with their two daughters, Keila Krizowski (b. 1926; d. 1944 in Vilnius, Lithuania) and Golda Krizowski (b. 1928; d. 1942 in Ponary, Lithuania). While in the ghetto, Abrasha was a member of the Fareynikte Partizaner Organizatsye [United Partisan Organization] (FPO), a Jewish resistance organization formed in January 1942. He served as a liaison between the FPO and the ghetto chief, Jacob Gens. On September 23, 1942, Golda was killed when she refused to leave the group of children in her care as they were rounded up and taken from the ghetto. She allegedly kept the children singing the whole way to Ponary where they were executed. On September 12, 1943, Keila escaped with her boyfriend, Berl Weinreb, and fellow members of the FPO. The intent was to join the Soviets in their fight against the Nazis. Keila was arrested in the village of Podbrodz, tortured, and sent to Kailis slave labour camp in Vilna, which was established just before the Vilna ghetto was liquidated. She was killed three days before Vilnius was liberated. Nochama was killed when the ghetto was liquidated in September 1943; Abrasha escaped to the Kazian forest. Ida Kaplan (birth name Ida Shak, b. 1921 in Vilnius, Lithuania) was born to Eliash Shak (b. 1877), a merchant, and Slava Oransky (b. 1881). 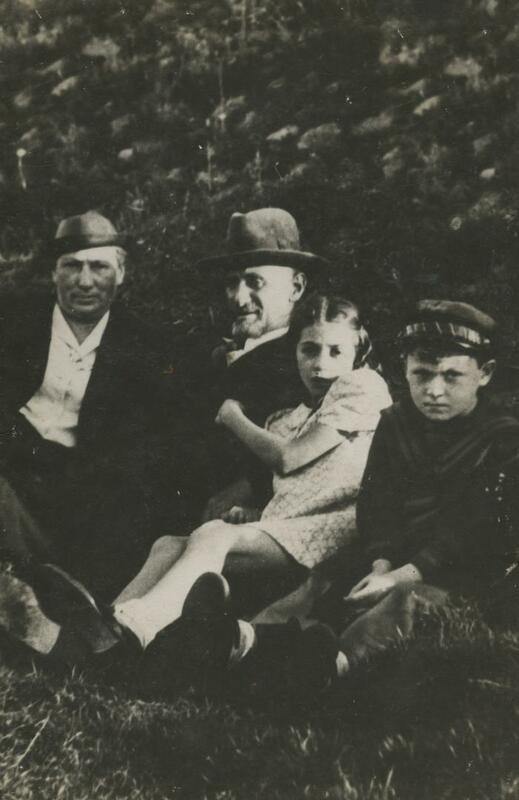 During the Second World War, the Shak family lived in the Vilna ghetto. After the ghetto was liquidated, Ida was taken by cattle car to Kaiserwald concentration camp, Latvia. In 1944, she was transported by barge to Stutthof concentration camp in Danzig, now Gdańsk, Poland. She was sent to work on a farm and, at the end of her contract, a neighbouring farmer, Hulda, hid her in a hole in the ground, in her firewood storage shed. In May 1945, she returned to Vilnius. Her parents and three of her siblings and their families did not survive the war. After the war, Ida met Abrasha in Vilnius. From Vilnius, they went to Łodz, Poland, and then were smuggled over the Alps to Vienna, Austria, where they applied for Canadian visas. After the birth of their first daughter, Sherie Kaplan (b. September 22, 1947, in Vienna, Austria; d. 2010 in Vancouver, British Columbia, Canada), they were allowed to emigrate. Abrasha arrived in Halifax, Nova Scotia, on February 14, 1948. Ida joined him soon after. They received their new surname, Kaplan, from Benjamin Kaplan, who immigrated to Vancouver with false papers. In Vancouver, Abrasha and Ida had a second daughter, Odie Kaplan. In 1962, they opened Kaplan’s Deli. Following her arrival in Canada, Ida petitioned the Canadian government to allow her brothers, Abram Shak (birth name Abraham Isaac Shak, b. July 7, 1902, in Lithuania; d. April 6, 1981, in Vancouver, British Columbia, Canada) and Boris Shak (b. September 1, 1913; d. September 13, 1996, in British Columbia, Canada), to immigrate to Canada. In 1947, Boris was captured by the British while traveling to Palestine and interned in Cyprus. He was released in 1949 and lived in Israel. He arrived in Canada after 1960. Abrasha Kaplan died October 21, 1983, in Vancouver. Ida and Odie Kaplan currently live in Vancouver. Scope & ContentFonds consists of vital records, citizenship documents, correspondence, photographs, slides, published materials, manuscript, videocassette, audio cassettes and objects relating to the lives and interests of the Kaplan family. Fonds has been arranged into the following series: Kaplan family personal records series (1994–1948); Kaplan family correspondence series (1947–1960); Kaplan family audio-visual materials series ([circa 1975], 1992); Kaplan, Shak family collected published materials series ([before 1989]); Kaplan, Shak photographs series ([193-]–1992); Kaplan, Shak family artefacts series (1946–1949); Boris Shak manuscript series ([199-]) and Odie Kaplan Theresienstadt visit materials series (1993). Immediate Source of Acquisition or TransferDonated by Boris Shak in 1993 and 1996. Accrual donated by Odie Kaplan in 2015, 2017 and 2018. System of ArrangementFonds has been arranged into eight series which reflect the major activities of the Kaplan and Shak families, as well as thematic divisions as it came to the VHEC. Select records, primarily photographs and some documents, have been described to the item level. Other items have been digitized as media representations of fonds, series and file-level descriptions. Archivist's NotePrepared by Sarika Kelm in March 2017. Updated July 2017 by Shyla Seller to add audio cassette testimony and related scans. Updated July 2017 by Sarika Kelm. Fonds consists of vital records, citizenship documents, correspondence, photographs, slides, published materials, manuscript, videocassette, audio cassettes and objects relating to the lives and interests of the Kaplan family. Fonds has been arranged into the following series: Kaplan family personal records series (1994–1948); Kaplan family correspondence series (1947–1960); Kaplan family audio-visual materials series ([circa 1975], 1992); Kaplan, Shak family collected published materials series ([before 1989]); Kaplan, Shak photographs series ([193-]–1992); Kaplan, Shak family artefacts series (1946–1949); Boris Shak manuscript series ([199-]) and Odie Kaplan Theresienstadt visit materials series (1993).